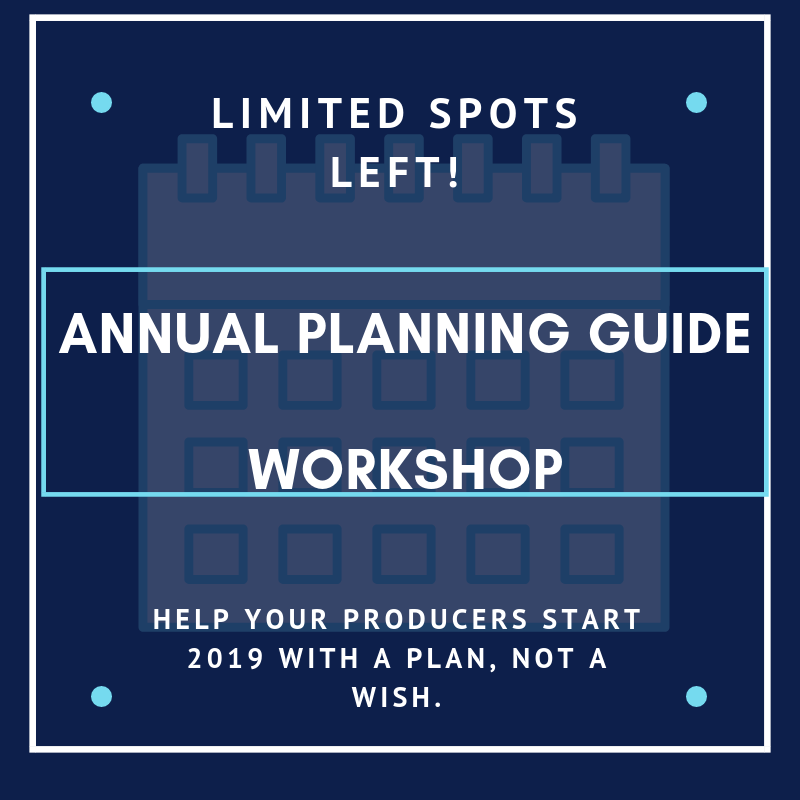 Help your producers start 2019 with a plan not a wish. ​Producers that start off a new year with a written plan that they design are 90% more likely to achieve their goals than those that don't. This live workshop, hosted by Brent Kelly, will provide producers with an Annual Planning Guide to help them meet their personal income goals and eliminate barriers that prevent them from being highly productive. This live event has passed. To register for on-demand access, click the button below. Stay up to date on insights and tips from the Sitkins Group consultants. Not sure which one of our programs is right for you? No problem! One of our team members will be happy to give you a call and help you decide the right fit for you.